Ireland-based Covidien has obtained 510(k) approval from the US Food and Drug Administration (FDA) for its Puritan Bennett 980 ventilator, which helps patients to breathe more naturally through some of the most innovative breath technology available. Covidien has designed the Puritan Bennett 980 ventilator system to be simple, safe and smart. 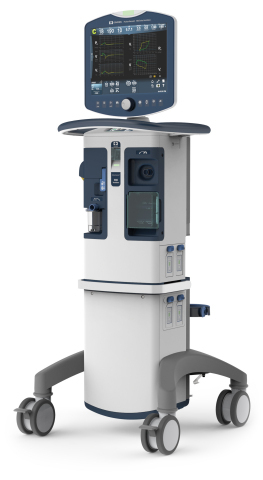 The new acute care ventilator is for patients ranging from neonatal to adult. Featuring advanced synchrony tools, the Puritan Bennett 980 ventilator helps clinicians set the ventilator to adapt to their patients’ unique needs and help provide the appropriate level of support throughout the breath. According to Covidien, the Puritan Bennett 980 ventilator can help with a range of software capabilities, including Proportional Assist Ventilation Plus and Leak Sync software. Proportional Assist Ventilation Plus has been shown to help reduce asynchrony, which studies have shown may reduce days on mechanical ventilation. Covidien Respiratory Solutions vice president and general manager James E Willett noted the company believes mechanical ventilation should be natural enough to enable patients to breathe on their own more quickly. "The Puritan Bennett 980 ventilator provides clinicians with a simple, safe and smart way to care for patients," Willett added. The new device has also received approvals for commercial distribution in Japan and Canada. It will be available in those countries and the US in the near future. Image: Covidien’s Puritan Bennett 980 ventilator. Photo: Courtesy of Covidien plc.